My work is a response to the natural environment and how humans mark, order, and alter the land. I am interested in our history with the landscape; how we learn about the world through repetition and difference and how we understand nature by distancing ourselves from it. The use of multiple modular units allows the works to be seen at the micro and macro scales; to expand and condense similar to our perception of the universe. The relationship between parts and wholes in the landscape creates a language of interlocking, nested elements, a working system of units. In recreating a sense of landscape with the hand and materials, I create places. The installations become artificial environments, spaces between the natural and the synthetic. Creating places reveals our presence in the world and serves for us a kind of artificial nature that we are able to control. We leave our mark through tight geometry, the grid, right angles, and containment. 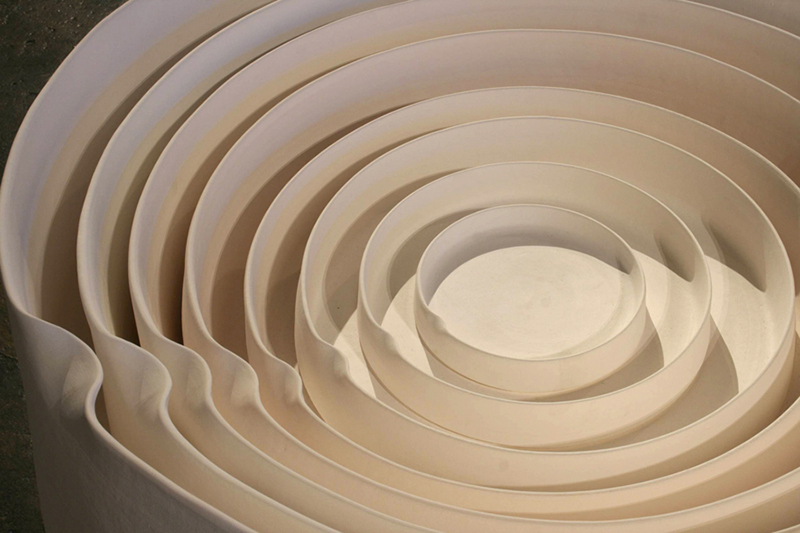 My work explores the space between the mechanical and human particularly in making, form, and surface. Many pieces are ongoing, continuous, and able to be rearranged representing our changing interaction with the landscape and the constant changes of the land itself. 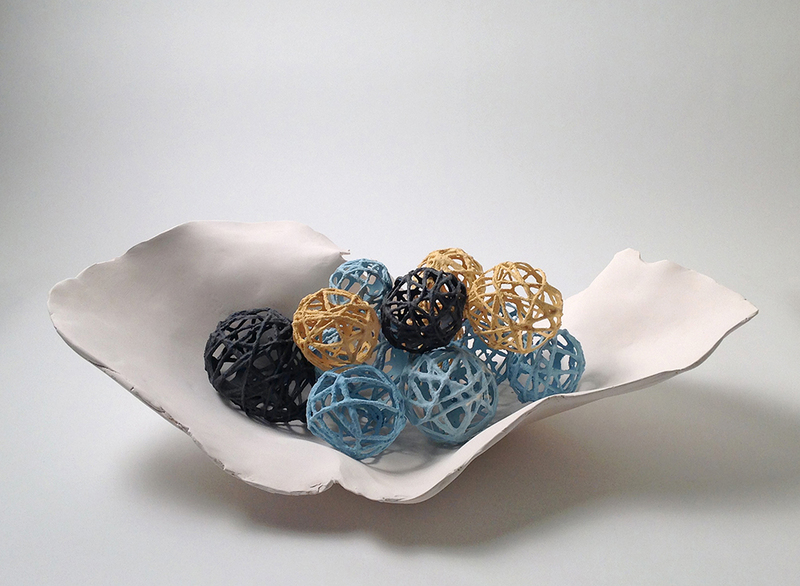 Through clay, from terracotta to porcelain, I can explore the landscape from the material that makes up the earth’s surface. 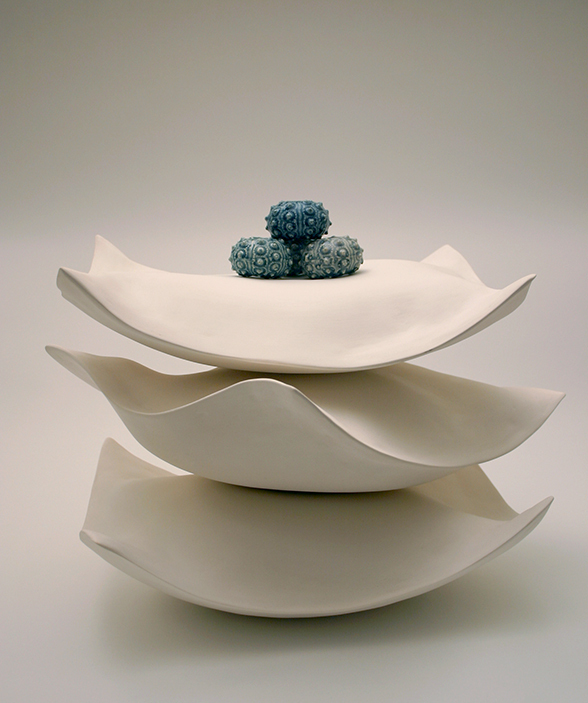 Inherently capable of abstraction, clay encourages invention and possibilities. A material naturally formed from the earth, it is mined, pulverized, and packaged by man; the perfect material to investigate the space between man and nature. 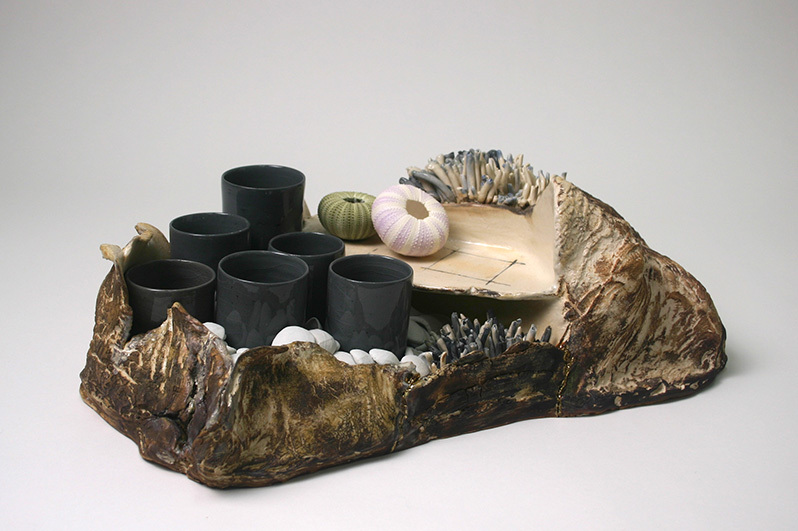 Lauren Vanni received a Master of Fine Arts degree in Ceramics from the University of Delaware where she was an adjunct professor and the ceramics studio manager. 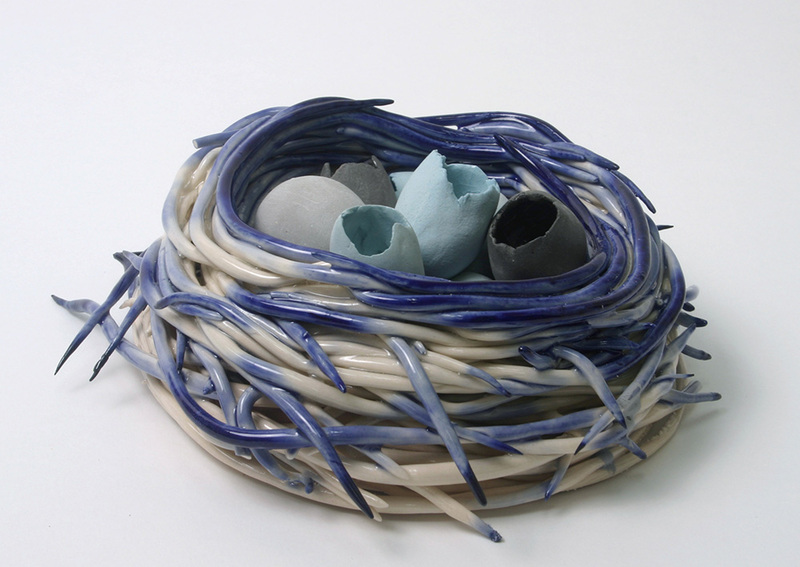 She earned a Bachelor of Fine Arts in Ceramics and a Master of Education in Art Education from Arcadia University. Lauren taught art at several locations including Dover High School and Cheltenham Art Center in Pennsylvania. She is currently the Fine Arts Coordinator and Professor of Art at Cecil College in Maryland. Lauren’s work has been widely exhibited at various galleries including the Biggs Museum in Dover, DE, Elkton Station Gallery in Elkton, MD, Marlboro Gallery in Largo, MD, Crane Arts Building in Philadelphia, PA, Brooklyn Artist Gym in Brooklyn, NY, LSU School of Art Gallery Baton Rouge, LA, and the Chester County Art Association Gallery in West Chester, PA. Her work was exhibited in an International Juried Exhibition in Louisville, KY and was purchased for permanent collection in the Brown Forman Distillery in Louisville, KY.